Interval training, such as sprints, can help you burn fat fast. You don't need to spend hours in the gym each day to achieve the body you want. Any exercise is going to make you healthier and stronger, but there are a few workouts that can be done in 30 minutes with major fat-blasting potential. The key to burning fat fast is to use as many muscles in your workout as you can. This will not only increase your heart rate, but the more muscles that are working means the more calories you are burning. 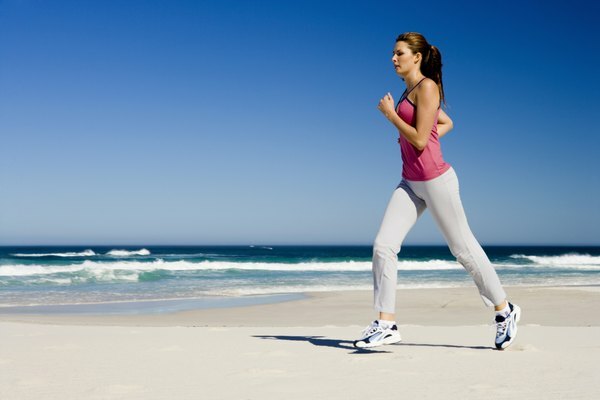 MayoClinic.com describes interval training as a burst of intense activity followed by a period of lighter activity. This can include any activity including walking to speed walking. The key here is to increase your heart rate for a period of time. Shape demonstrates interval training with 30-second sprints. After warming up for 15 minutes, do 30 seconds of all out sprinting followed by three minutes of rest. Repeat this workout for 30 minutes for a major fat-melting workout. 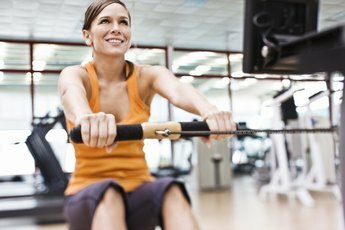 The more vigorous your workout is the more calories you will burn, even if your vigorous activity comes in short bursts. Kettlebells may be considered a piece of weight-lifting equipment, but they are actually one of the most effective tools for burning fat. The American Council on Exercise led a study that suggested that kettlebell training provided a much higher intensity workout than traditional weight training as well as quicker results. A 30-minute workout with kettlebells requires the entire body to be working with almost every movement, making it an excellent calorie-burning routine. Seek guidance from a trainer if you've never used kettlebells before. Cardio kickboxing is one of the best ways to melt fat fast. A mixture of boxing and aerobics, the American Council on Exercise says that a 135-pound person can burn around 350 to 450 calories in a kickboxing class that includes a 30-minute workout with 15 minutes of warming up and cooling down. That is a quick way to shed fat, all while having a blast kicking and punching out the stress of the day. Circuit training strengthens your muscles and improves cardiovascular fitness. Fitness online magazine says that circuit training will help you burn 30 percent more calories than traditional weight training. According to Fitness, in only 30 minutes of circuit training, you can burn more than 200 calories. Circuit training typically involves eight to 10 stations, each with a set exercise. Each exercise is performed for a set amount of time before moving on to the next, all with little to no rest in between. This kind of workout also keeps you from getting bored, which means you just might enjoy doing a 30-minute circuit workout. ACE: Kettlebells: Twice The Results In Half The Time? Why Do Kettlebells Cut Body Fat? 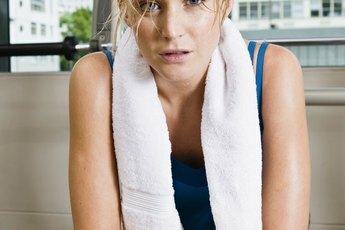 Does Making Your Belly Area Sweat During Exercise Help You Lose Weight?